Aon South Africa is a leading global professional services firm providing a broad range of risk, retirement and health solutions. We provide seamless, tailor-made insurance and risk solutions to many South African public companies, thousands of privately owned businesses and many private individuals. Our decades of international experience, local alliances, global network and buying power in the insurance market remains superior. As a professional or business owner, we understand the huge investment you have made into your career and business. 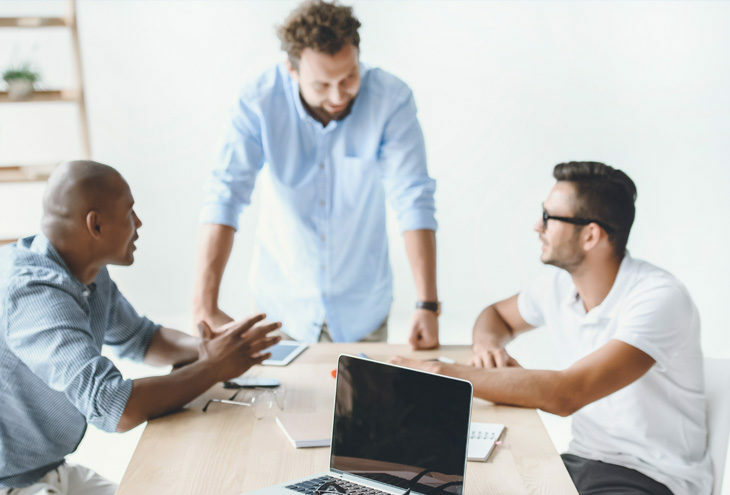 No matter your industry, we will work closely with you to ensure that your specific insurance needs are addressed and consolidate your business insurance under one comprehensive programme. As risk and insurance advisers, we are able to present you with an extensive range of tried and tested products underwritten by leading insurers in South Africa and internationally. We work with you to identify your business risks and understand the complexity of your organisation to design creative, personalised insurance solutions delivered seamlessly, anywhere in the world, through a local point of contact. 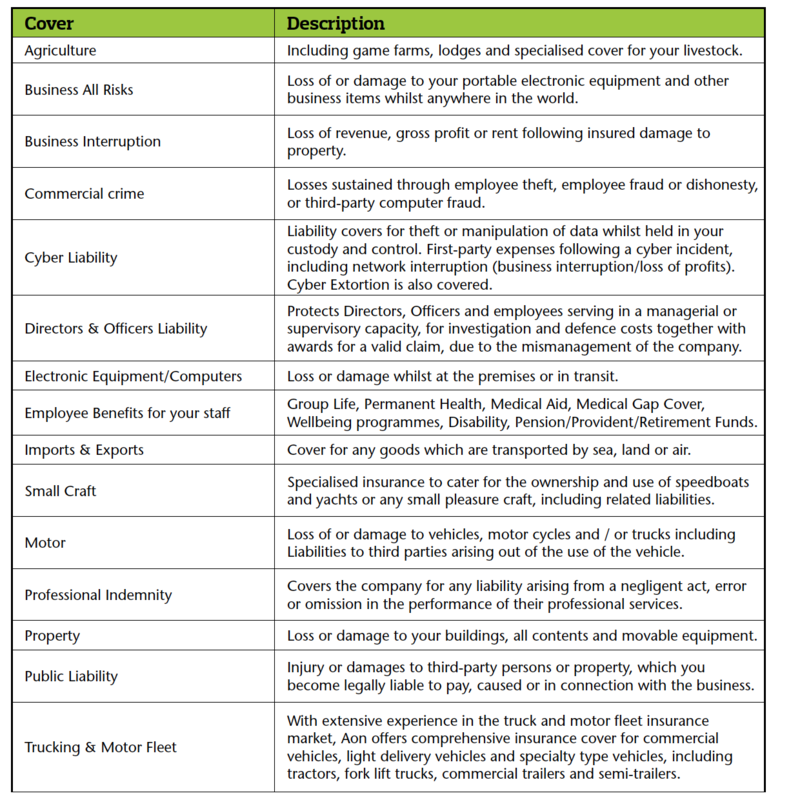 There is a lot to think about when it comes to your businesses insurance cover and risk solutions. Sustainability and maintaining your profitability are always top of mind, together with the risks you face that could change your business in a heartbeat. That’s why Aon identifies your needs and structures your cover accordingly. This can result in substantial savings for your business in the long run. At Aon South Africa, we make insuring your business a personal and supportive experience for you, giving you access to a private insurance broker when you need advice and a 24-hour claims service and care line for asset-based risks. Aon South Africa can present you with a number of solutions, depending on your needs and on your industry. 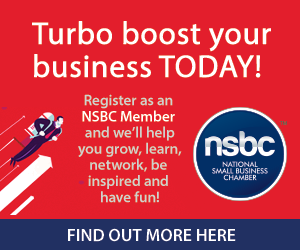 Aon South Africa is a proud Partner of the NSBC.